BRIC’s Knit and crochet warriors had decided to donate 14 caps by the middle of January but when they started, they could not stop. The group has been loving the feeling of GIVING and were able to donate 40 caps by Valentine’s Day. The notable members of this group are: Tejaswini Pendse, Manjula Vellingiri and, Mrs. Savitri Mittal. They encouraged others like, Vaishali Bhagat, Madhu Agrawal, Geeta Padbidri, Manisha Jha, Sweety Janani, Anupama Siddhaye, Merlin Peter, Jiji Mathew, Vaishnavi Arun Kumar Deepa Agarwal and Anu to become Knitting warriors. These hats were donated to Richa Gupta’s cause of Knit/ Crochet with love who donates hats to Sloan Kettering, Morristown Cancer Centre, A Paediatric Oncologist and Trinitas Cancer center and knots of love. The knitting and crochet warriors feel this activity is as beneficial and calming to them as meditation and yoga. The Basking Ridge Indian Community (BRIC) came together to celebrate the Hindu festival of Dashera and Dandiya dance on October 11th. 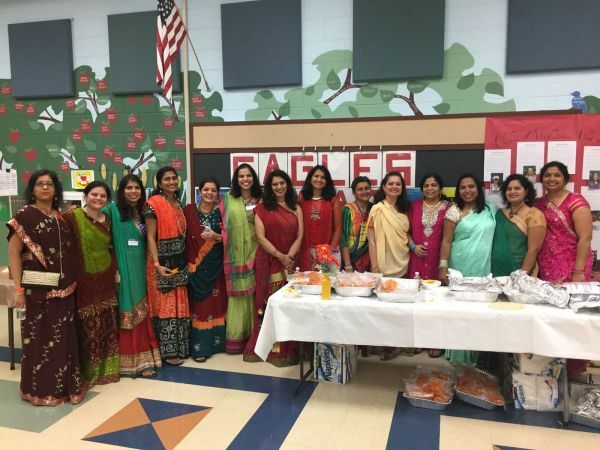 The Basking Ridge Indian Community or BRIC, as it has proudly been coined, came together to celebrate Dushera and play Dandiya Raas on Tuesday, October 11th at Oak Street Elementary School. About 300 Indian-Americans took part in this celebration. And what an evening it was! Replete with vibrant outfits, enthusiastic faces, and sheer excitement. Children loved the celebrations and enjoyed playing dandiya with their school mates and the families they know and interact with every day. Dushera celebrates the Hindu god Rama‘s victory over the demon king Ravana and the triumph of good over evil. The fervor further heightened when the dance reached its full momentum. The mayor Carol Bianchi and deputy mayor Carolyn Gaziano couldn’t resist learning the steps and enjoying the dance thoroughly. Dandiya is played with colorful sticks and dancers like to match the dance steps to the music. Dandiya Raas originated as devotional Garba dances, which were performed in Goddess Durga’s honor. This dance form is actually the staging of a mock-fight between Goddess Durga and Mahishasura, the mighty demon-king. This dance is also nicknamed ‘The Sword Dance’. The sticks of the dance represent the sword of Goddess Durga. BRIC is looking forward to celebrating Diwali, the festival of lights, on October 30th. Diwali, the Hindu festival of Lights, and a New Year for many Indians, was celebrated with traditional fanfare at Oak Street School. Diwali, the Hindu festival of Lights, and a New Year for many Indians, was celebrated with traditional fanfare at Oak Street Elementary School on Sunday, October 30th. As many as 175 families came together to perform the religious ceremonies and to partake in the festivities. Traditional invocation to Lord Ganesha and Goddess Laxshmi marked the religious part of the ceremony. Skits and dances were performed by students of various dance schools and arts & crafts related to Diwali, like making Diyas (lamps), kept the kids entertained and interested throughout the afternoon. 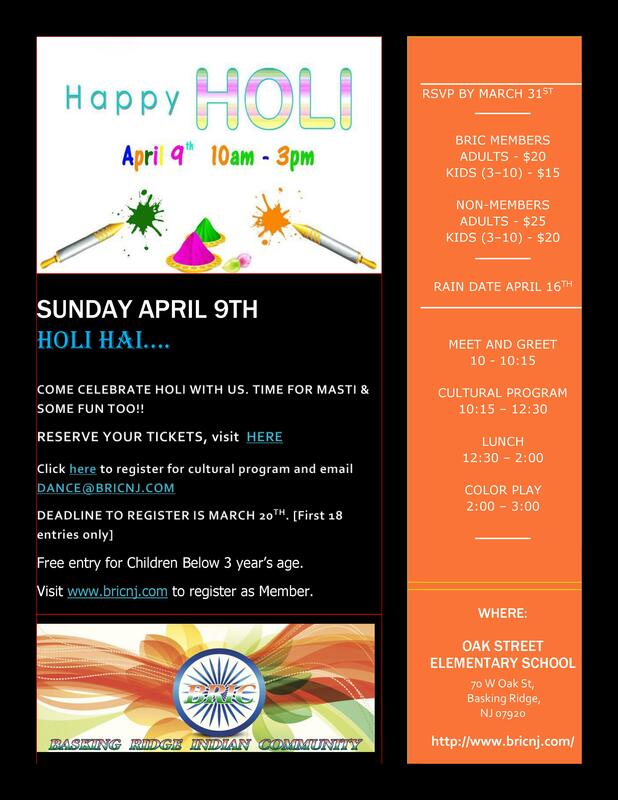 BRIC or Basking Ridge Indian Community is a recently formed organization and welcomes anyone living in Basking Ridge with an interest in Indian culture and its values to be a member. 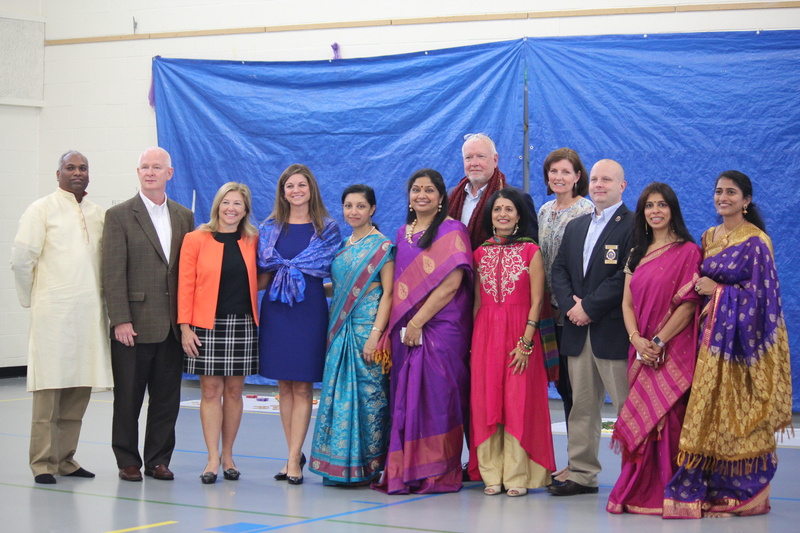 The mayor, Carol Bianchi, Deputy mayor, Carolyn Gaziano, Basking Ridge Police Chief, Brian Bobowicz, Committeemen John Carpenter and John Malay, Board of Education member, Karen Gray graced the festivities and felt heartened by the warm welcome extended by the Indian Community. The essence of Diwali is GIVING and in keeping with this spirit, a check was presented as a token of appreciation to the BRPD. It was wonderful to wish ‘Happy Diwali’ to so many familiar faces from our town and to get blessings from the visiting parents on this auspicious day. The general consensus among the parents was that celebrating Diwali in such a grand way was the best cultural education they could give to their children. BRIC plans to host more events to not only celebrate the Indian culture but also to help out with soup kitchens and donations around the Holidays. BRIC prides itself on promoting Indian values while seamlessly acculturating with the mainstream American culture. Panelists and facilitators from NAMI(National Alliance on Mental Illness) stressed on the importance of keeping the dialogue open between parents and their teenaged children. 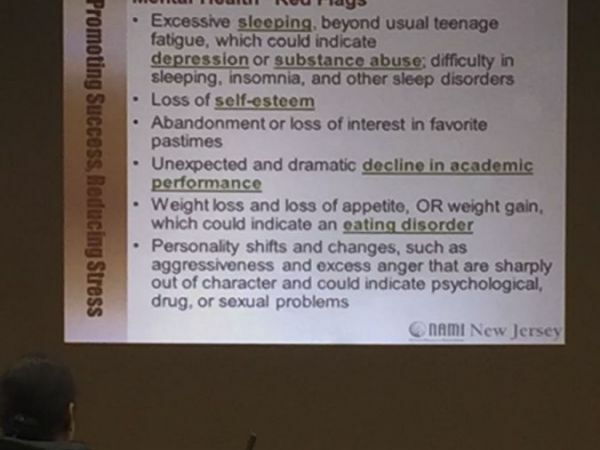 Sponsored by BRIC( Basking Ridge Indian Community), the event sent a strong message to parents to identify markers of stress in their children. The evening’s panelists made their marks on the audience with their knowledgeable insights on the mental issues affecting today’s middle and high schoolers. What issues could be affecting our teenaged children? 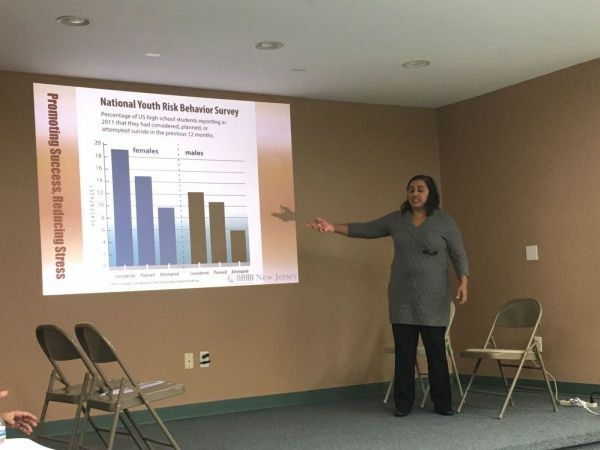 Puberty, social media pressures (more than the parents know about), body image issues, and academic pressures all contribute to the stress that could morph into mental illness among teenagers . What could you as parents do? Remain calm and composed – The panelists who themselves are parents agreed that this is a feat in itself but harped on the positive vibes it sends to the teenagers who are undergoing stress. Parents need to modulate calm demeanor in order to alleviate anxiety in their children. Stop with the social comparisons between your generation and the generation X – This is a very common mistake that most parents make. Like the generations, the pressures have changed, and in some cases have increased for the present generation. Don’t forget, we did not have social media when we were growing up so comparing our children’s life to ours isn’t comparing apples to apples. 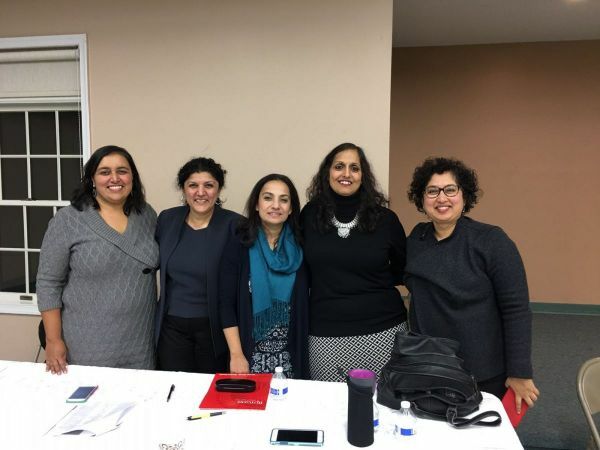 As parents, especially as South Asians, we all have our migration journeys but our children should not to be made to hear of the hardships we faced. It is not their fault they have what they have. Modulate realistic goals – Don’t expect perfect A’s from every child. Set realistic expectations from your children. Do not impose your dreams on them. They have their own. Show your vulnerabilities – Everyone fails at times and failures are stepping stones to successes. Make sure your children know how you have achieved success in life which is definitely not by trying just once. Focus on yourself too – Take good care of yourself and respect yourself and your spouse. It warrants self-respect in your children. The panelists also invited audience members for a role play. The scenario – mom and dad want their teenager to go to a party with them and the teenager refuses and storms off to her room. Mom’s reaction – losing her temper. Dad’s reaction – coaxing the teenager to go the party. The specialists’ solution – Give the children their space and a chance to opine. If it is very important for them to attend an event – lay out the positives in a calm manner. Hear their reasons for not going. Discuss! If they can stay home, give them that chance and let them be. The take-away for all parents from this forum was that irrespective of family situations, children do undergo stress. The key is to maintain a congenial atmosphere in the house, to have a dialogue, and to always be aware of warning signs. Most importantly, if you think something is odd, reach out for help in a timely manner.